The Samsung Galaxy Note is an interesting device that’s been designed as an all-in-one smartphone and tablet. Whether it holds any appeal will depend on you getting your head (and hands) around its mammoth size. If you’re comfortable with the design of the Galaxy Note, you’re left with a phone that has a brilliant display, excellent performance and slick software. UPDATE: The Galaxy Note was officially launched in Australia in mid-March. It is available now through both Optus and Vodafone, and will be available through Telstra in April. We found the Galaxy Note uncomfortable when trying to touch the other side of the screen with one hand — moving your thumb across the radius of the screen is a stretch. However, whether you find the Galaxy Note too big will depend on your hands: each and every user will be different so the appeal of the Note should be measured on a case by case basis. Some users will love the size, others will hate it. 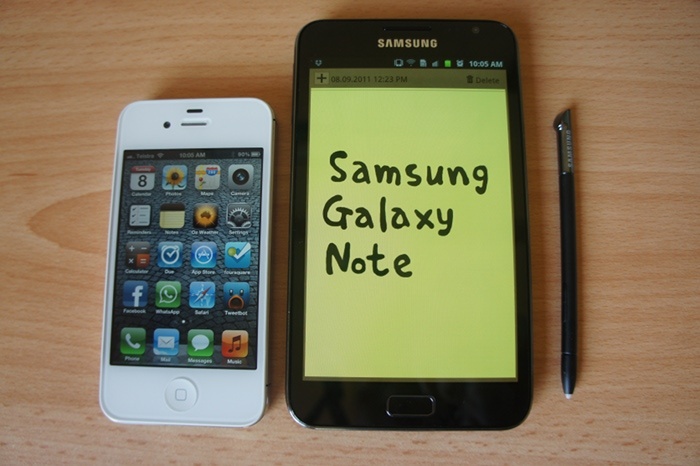 Make no mistake, the Samsung Galaxy Note is big. Here it is alongside the iPhone 4S. The advantage of Galaxy Note's size is all the room it's left to include a 5.3in Super AMOLED HD display. The screen has a whopping resolution of 1280x800, making it a WXGA panel with 285 pixels per inch (ppi). That's a notch below the iPhone 4S's "retina" ppi of 326, but it's a massive improvement over many other Android phones on the market, including Samsung's own Galaxy S II. The sheer size of the screen naturally makes it a great device for reading, Web browsing and video playback: colours are vibrant, text is crisp and visibility in sunlight is excellent. Our only issue is that some apps in the Android Market don't scale correctly (most notably the game Doodle Jump) and can appear pixelated. We suspect this issue may be corrected when the Galaxy Note is upgraded to the latest 4.0 "Ice Cream Sandwich" version of Android in the coming months. 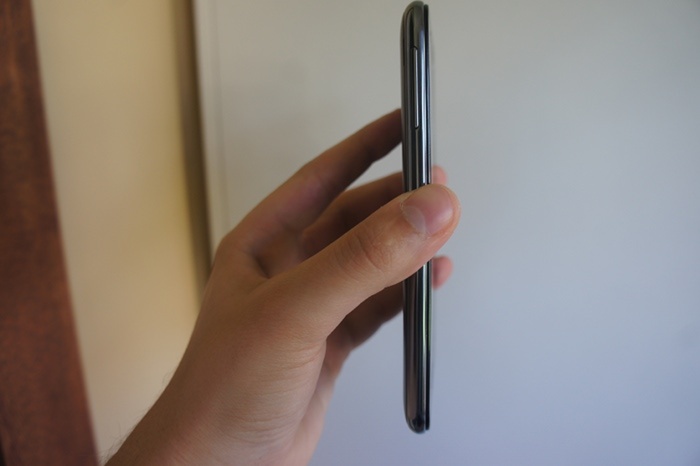 Despite the Galaxy Note’s large size, its actually a pretty thin smartphone. 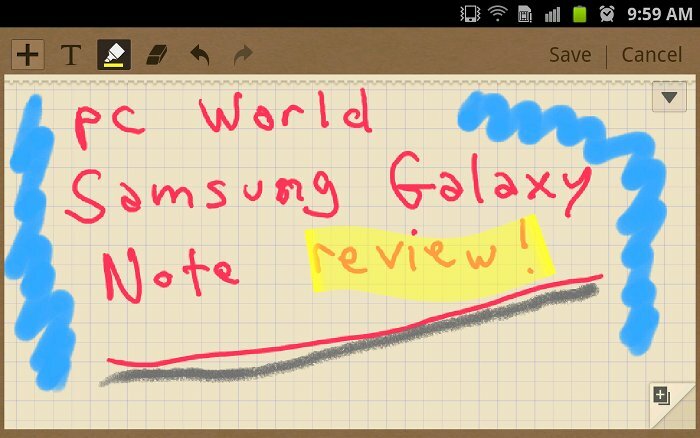 Samsung’s S-Memo app allows you to draw and write with the S-Pen. You can select four different pen types and multiple colours.